Lots of optimism surround the Hoops after the theft appointment of Oscar “Papi” Pareja as head coach, and for good reason. The former Colorado Rapids head coach was highly regarded by the front office, was a contender for MLS Coach of the Year after Colorado overachieved last season with their young roster, thanks in some part to Pareja’s guidance. While the optimism is high, there are also some concerns with the team, as they jettisoned off a few key pieces from last year (Captain David Ferreira, striker Kenny Cooper, and winger Jackson), and now FC Dallas must work through that awkward transition where new faces and a new coach try to get on the same page. Will the front office and Dallas fans be patient enough to wait for Pareja to work his magic, given they’ve missed the playoffs two season in a row now? His first season in Colorado was forgettable (11-19-4, no playoffs), but there were clear signs of improvement in his second year (14-11-9, knock out rounds). 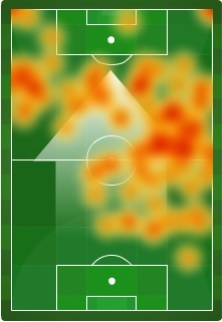 Last season’s Achilles heel had to be the central midfield for Dallas. 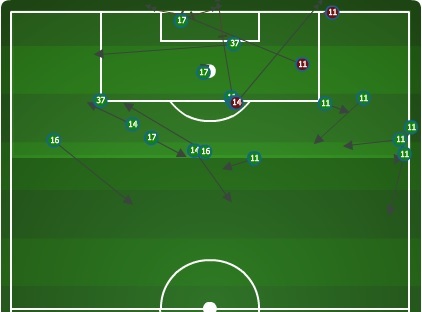 When holding midfielder Peter Luccin went down with an injury before the season began, FC Dallas was left without any adequate cover, and it lost its midfield bite and any real quality in linking the defense to the attack. That has been addressed strongly this off season with the acquisition of former Rapids midfielder Hendry Thomas (who is basically a tank on cleats) and former Sounder Adam Moffat (better link up player). Not to mention Luccin is back and healthy, and Andrew Jacobson got a good solid year of starter experience under his belt. Dallas’ thinnest spot in 2013 has suddenly become their greatest depth in 2014. The Dallas defense looks largely the same with everyone from last year who got significant playing time returning. The debate now is whether that’s a good or a bad thing. Jair Benitez is now a year older, and while he provides help in offense (hello golazo! ), his defending remains inconsistent. Zach Loyd had a subpar year by his standards in 2013. Whether he can regain his form that led him to be a USMNT call up waits to be seen. Finally, the last question mark for Dallas is what will Pareja do with homegrown standout Kellyn Acosta? His breakthrough 2013 was a huge step in the right direction for the Homegrown Player program, but where does he fit on this team? In 2013 he filled in admirably—at times better than Loyd at right back—but the teenage star has spoken that his preferred position is defensive midfield. Regardless of where he plays, Acosta is a talent that needs to see the field as much as possible. FC Dallas finished 2013 as the epitome of average statistically, posting the 10th best expected goal differential, as well as the 10th best shot attempt ratio. Hope rests in Pareja’s ability to work with a team that has added six new players to date, and to inject this team with a little magic that worked for Pareja’s former team last season.